Adam Kinzinger was first sworn into the United States House of Representative in January 2011. He serves as the Representative for the Sixteenth Congressional District of Illinois and was appointed to the Energy & Commerce Committee as well as the Foreign Affairs Committee. Strengthening U.S. energy policy and making our nation less reliant on foreign resources is a top priority for Kinzinger in Congress. The Sixteenth District is home to four nuclear power plants, miles ofwindmills, hydropower plants, and ethanol and biodiesel plants. The nuclear energy production alone employs more than 2,500 people throughout the 16th. In addition, coal and natural gas energy are also vital resources in the district. As a result, he is committed to advancing nuclear production at home and focusing on energy independence. Another focal point for Kinzinger in Congress is increased accessibility to his constituents throughout the Sixteenth District, which is essential to develop and grow public trust. Kinzinger intends to provide constituents with an open and direct line of communication to their federal government on matters facing the Energy & Commerce Committee. Before he was sworn into office, Kinzinger was named to the House Majority Transition Team. This team was made up of 22 incoming and current House Members who are proven reformers and offer a fresh perspective to restore government into the hands of the people. The transition team proposed solutions to ensure the new Majority would serve as the people’s voice and implement the proposals that Americans are demanding. 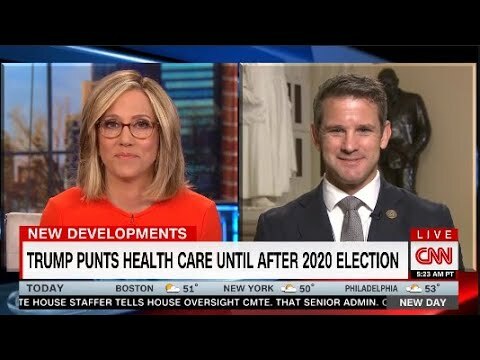 Adam Kinzinger became active in his community early on. As a 20-year old sophomore at Illinois State University (ISU), he challenged a three-term incumbent for the McLean County Board. Kinzinger advocated for restoring local government back into the hands of the people and won a seat on the board, becoming one of the youngest county board members in McLean County history. During his service on the board, Kinzinger fought for the people’s priorities—Opposing pay raises for elected officials; Fighting against taxes on small businesses; And, supporting measures for increased transparency and public participation in county government. He made constituent services a top priority and was easily accessible to all members of his community. Kinzinger earned his undergraduate degree from ISU in 2000. He served on the McLean County Board from 1998-2003. After serving on the McLean County Board for five years, Kinzinger joined the United States Air Force. He was commissioned a 2nd Lieutenant in November 2003 and later awarded his pilot wings. He has served in the Air Force Special Operations, Air Combat Command, Air Mobility Command, and Air National Guard. He has the current rank of Major. 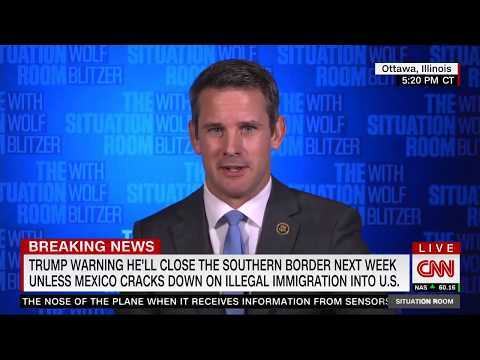 Kinzinger continues to serve his country as a pilot in the Air National Guard as a Member of Congress. Kinzinger has been recognized for his civic service both in and out of uniform. In 2007, he received the United States Air Force Airman’s Medal for saving the life of a young woman whom was violently attacked. He wrestled the knife away from the attacker and pinned him to the ground until the police arrived. He was also awarded the National Guard’s Valley Forge Cross for Heroism and was selected as the Southeastern Wisconsin American Red Cross Hero of the Year. 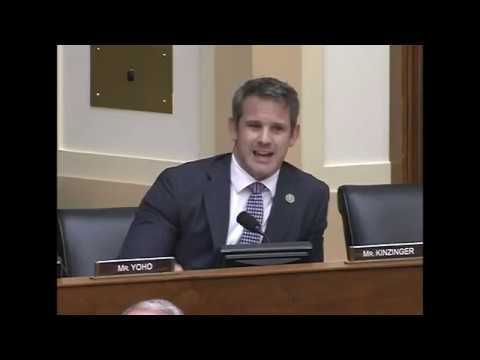 Kinzinger has earned the Air Medal six times serving in Operations Enduring Freedom and Iraqi Freedom. Adam Kinzinger’s roots run deep across Illinois. He was born in Kankakee, grew up in Bloomington, and now resides in Channahon. His mother, Jodi, is an elementary schoolteacher, and his father Rus is a former CEO of two faith-based organizations. His parents instilled in him and his two siblings the importance of hard work and responsiveness through public service to the needs of those throughout our communities.